It is a sad day. It is a day I didn’t want to come. I wanted Nelson Mandela to live forever. I became familiar with him and his anti-apartheid struggles when I taught in the 1980’s. As a geography teacher, I taught some about latitude and longitude, but it was always the people (and the foods) that I emphasized. 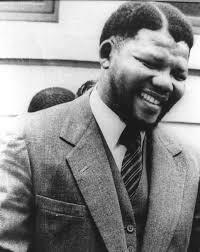 In 1987, the movie, MANDELA, was broadcast on television. Starring Danny Glover as Mandela, it was great! I taped it and showed it to my classes when we studied South Africa. From then on, Mandela was my hero. When he was released from prison after 27 years, I was cheered. When apartheid was dismantled, I was heartened. When he became the country’s first black president, I was amazed. When he showed such integrity and forgiveness to the whites who had harmed him and his fellow people, I learned that goodness and power could reside in one person. He not only spoke of peace and equality, he put his words into action. I knew that it was time for Mandela to make his final journey. He was ill and tired. A 45-year-old South African housewife expressed my emotions exactly.”I have mixed feelings. 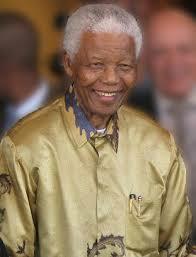 I am happy that he is resting but I am also sad to see him go,” Molebogeng Ntheledi was quoted as saying. 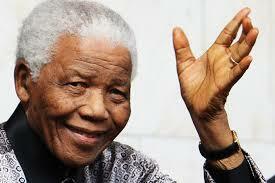 Goodbye, Mr. Mandela. May you rest in peace. May the lessons you taught the world never be forgotten.